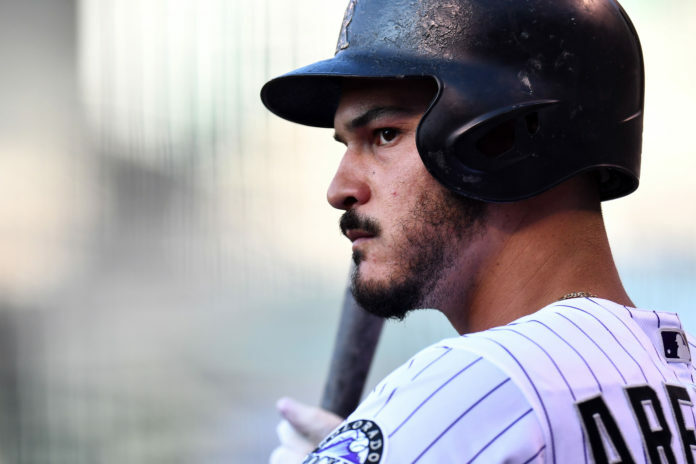 The Colorado Rockies announced on Thursday that the club has agreed to terms with third baseman Nolan Arenado on a one-year contract. 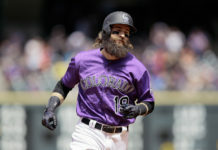 According to Jeff Passan, the deal is worth $26 million, which would be a record for a one-year salary for an arbitration-eligible player. 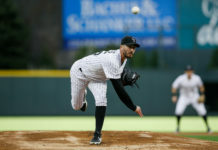 Earlier reports indicated that Arenado was looking to receive $30 million for the 2019 season, while Colorado was hoping to pay him around $23 million, so it seems the two sides were able to meet in the middle. 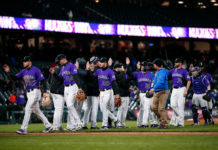 The one-year contract extension means that the Rockies were able to reach agreements with all eight arbitration-eligible players in the system. In six years with the Rockies, Arenado has consistently been one of the best players in baseball and has the hardware to show for it. Arenado is a six-time Gold Glove recipient and four-time Silver Slugger. The 27-year old already has four All-Star appearances under his belt as well. Arenado’s batting average dipped from .309 in 2017 to .297 in 2018, but he led the National League with 38 home runs and totalled 104 runs scored. Defensively, Arenado was solid with a .967 fielding percentage. While the deal is a positive sign, Rockies fans will remain anxious until the club locks Arenado down with a long-term extension.